In 2018, an estimated 174,250 people in the US are expected to be diagnosed with leukemia and lymphoma. In 2018, an estimated 58,100 people will have died from leukemia and lymphoma. In 2018, we made a difference together. 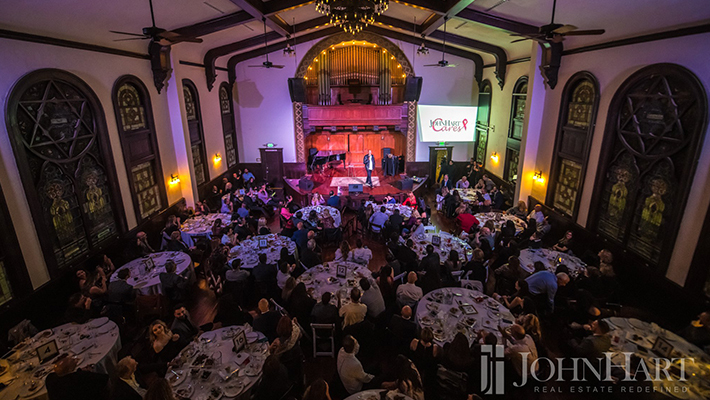 JohnHart hosted Clap for a Cause 2 on November 10, 2018, after seeing the success we had last year! We pulled together an amazing lineup of comedians and gathered with friends and supporters to raise funds for the Leukemia & Lymphoma Department at City of Hope Cancer Research Hospital. It was truly an INCREDIBLE NIGHT! Clap for a Cause 2 was an evening filled with laughter, joy, friends, and a shared spirit of giving back to those who need it most. On behalf of City of Hope & JohnHart we thank every single person who joined us and contributed. The funds you have helped raise will make a big difference in the lives of many affected by lymphoma and leukemia. This video is a testament that when we come together, we can quite literally change lives… and have a great time doing so! We want to give a very special shout out to Dorian Zuleta, Faahz, Jay Phillips, Vincent Oshana, Mark Eddie, K-Von, Chris Spencer, Felicia Michaels, David Arnold who provided us with entertainment and laughs all night!